September 2018 was marked by the presentation of the report of the Commission of Inquiry on Burundi to the UN Human Rights Council and the renewal of its mandate for one year. Amongst the striking events that dominated the month was the suspension of international NGOs for three months, which adds to the list of unpopular measures taken by the government. Meanwhile, the abductions, killings and arbitrary arrests increased remarkably. The situation of Burundian refugees continued to deteriorate. It is widely known that in poor countries governments need outside support to meet the needs of the population. In many of these countries, international NGOs play an important role in meeting these needs. 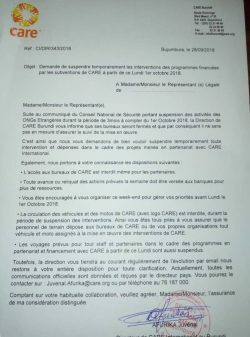 Despite such needs in Burundi, Brigadier General Silas Ntigurirwa announced on 26 September 2018 that the government was suspending all international NGOs for three months. 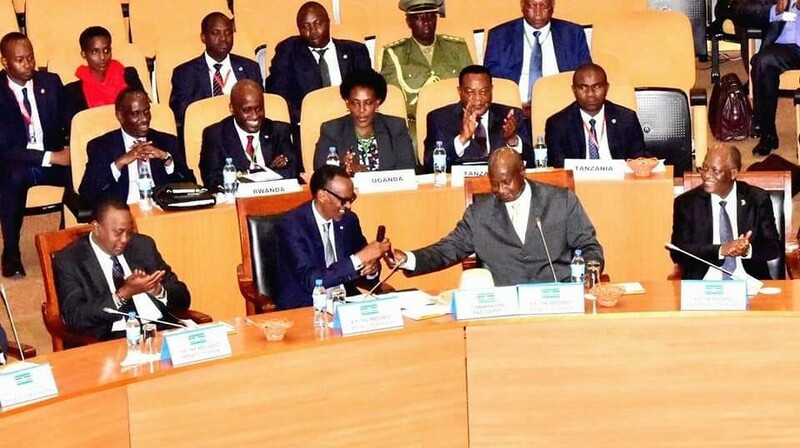 In the statement, the national Security Council declared that international NGOs failed to comply with Burundian domestic laws and were given three months to address the concerns. The measure entered into force on 1 October 2018 as dozens of international NGOs closed their doors as they await instructions on how to proceed. 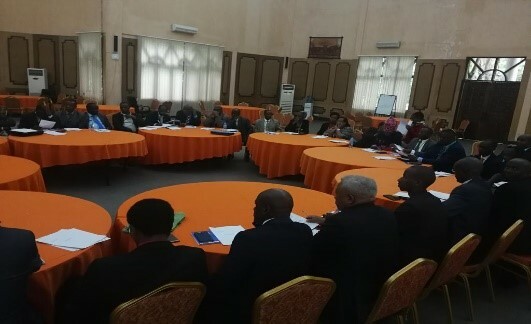 At the end of the meeting held by the minister of home affairs, Pascal Barandagiye on 2 October 2018, four core elements were agreed upon including the conclusion of a new agreement between the Ministry of Foreign Affairs and each NGO, a protocol of the program with a national development plan, the signing of a document committing to accepts bank regulations and a plan to redress ethnic imbalance within NGOs for a period of 3 years. It is worth noting that international NGOs are often presented by the regime as western agents and are accused of collaborating with international human rights accountability mechanisms. Due to persistent human rights violations in Burundi and because of the lack of a genuine human rights mechanism able to independently document human rights abuses in Burundi, the UN Human Rights Council adopted a resolution at its 39th Session extending the mandate of the commission for one year. 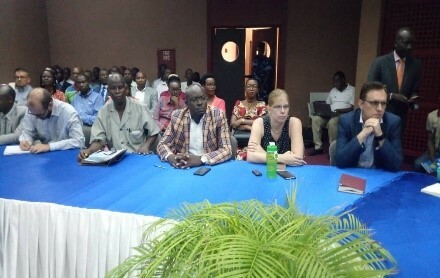 Burundians had awaited the results of the session with great interest because the government of Burundi spared no effort in rejecting the commission’s report and calling for the end of its mandate, whereas victims, CSOs and several international partners commended the work of the commission and advocated for the renewal of its mandate. In its report, the commission pointed out the existence of a parallel chain of command in the security forces, hate speech by high officials including President Nkurunziza and persistent enforced disappearances. The current report also covered economic and social rights and the functioning of the judiciary in more detail than previous reports. In the voting, some countries, including China, Russia and Venezuela, remarkably supported Burundi, voting against the resolution, whereas majority of African countries abstained and Rwanda voted for the resolution. After the constitutional referendum in May 2018 and the promulgation of the new constitution in June, the political situation in Burundi is still an impasse because of the lack of political will to put an end to the crisis. Despite the consultations held by the facilitation team that met the government of Burundi in late August 2018 and the external opposition platform CNARED on 6 September 2018, the meeting was postponed twice before it was fixed for late October 2018. The main reason for the postponement has been the government of Burundi’s unwillingness to negotiate with the opposition. Inclusivity remains a big issue. Only political parties were invited whereas other interested groups including civil society and groups of women and youth were only invited for consultation. On 25 September 2018, the assistant to the minister of home affairs of Burundi, Thérence Ntahiraja, was left a public show at Radio Isanganiro where he was participating in a discussion regarding the forthcoming 5th round of the Inter-Burundian dialogue. According to journalists and other participants in the session, the show was suspended as three people from the Office of the President tried to enter the studio. Ntahiraja was called outside for a small consultation after which he took his things and explained to other participants that he had been called away on other urgent matters. The two other participants, Léonce Ngendakumana of the FRODEBU party and the expert in settlement of conflicts Nsengiyumva Sylvère left the studio as well. Less than a week later, Ntahiraja was removed from his position and replaced by Tharcisse Niyongabo. On 21 August 2018: two bridges constructed over the Ndorobo and Nyangwa rivers and connecting Nduta refugee camp to its neighbors were destroyed by unknown people. Refugees believe that the same was done to prevent them from collecting firewood and going to market outside the camp. On 24 August 2018: the police released several new security rules advising refugees to patrol at night and suggesting that they should adopt alarm calls in case of insecurity. This was interpreted by the refugees as a sign that the police are unable to protect the camp. On 27 August 2018, the authorities responsible for Nduta camp prohibited the use of mills within the refugee camp. On 28 August 2018, police watched and an estimated number of 200 crates of drinks were stolen and taken to unknown location. The same day, dozens of small stands were destroyed. The same day, in a meeting held at the football field in Nduta zone 5, the representative of the camp ordered the suspension of craft work, the selling of spares of bicycles and the closing of hair salons. On 1 September 2018, an estimated fifty refugees were assaulted by members of the group assigned to ensure safety in the villages called Wanamugambo as they collected firewood outside Nduta refugee camp near the Nyangwa river. On 6 September 2018, an estimated seven refugees were killed as they collected firewood near Nduta refugee camp. One survivor testified that the attackers were armed with spears, machetes and cudgels. On 8 September 2018, two refugees from zones 6 and 19 of Nduta refugee camp were attacked by people using machetes as they collected firewood near Nyangwa river. On 10 September 2018, the Nduta camp authorities prohibited rights monitors including the Women Legal Aid Center (WILAC) from accessing prisons to assess the condition of detainees. On 11 September 2018, three projects of the Danish Refugee Council (DRC) that help refugees to earn income were suspended by the ministry of home affairs. The same day, a 35-year-old, Habonimana Japhet, living in Mutendeli refugee camp zone 4 was abducted by the Tanzanian police and taken to an unknown location. On 24 September 2018, in the zone 8 of Nyarugusu refugee camp, six Burundian refugees were arrested by Tanzanian police and taken to an unknown location. On 29 Sept 2018, Congera Jean was abducted by unidentified persons from Nduta zone 13, village 25. His whereabouts are unknown. The same day, Abel Nshimirimana was abducted from Nduta refugee camp. According to witnesses, he was transferred to Kibondo prison a day laterand was neither registered nor charged. Nshimirimana is known as a pro-Rwasa FNL activist. On 3 September 2018, a beheaded body of an unidentified man was recovered at Nunga Hill in the District of Rusengo. The body showed significant decomposition. On 5 September 2018, a policeman, Manirakiza Raymond, was killed while his colleague was wounded at Kivumu Hill in the District of Mugamba. Witnesses suggest that the policemen were targeted as they attempted to prevent militaries from arbitrarily arresting young members of the opposition. On 7 September 2018, two brothers, both pro-Rwasa FNL activists, Miburo Bosco and Manirakiza Évariste, were assaulted by imbonerakure militiamen and gravely wounded in Kiremba and were admitted at Kiremba hospital. On 11 September 2018, the dead bodies of Adidja Uwimana and her seven month old baby were recovered at Mparambo Hill in the District of Rugombo. On 11 September 2018, a pro-Rwasa FNL activist, Isaac Nshimirimana, aka Sogo, was arrested in Gihogazi by the police. He was detained without charge and is believed to be victim of his political affiliation. On 13 September 2018, A 65-year-old man, Lazare Manirambona was arrested by imbonerakure at Jimbi Hill in the District of Kibago. On 15 September 2018, a pro-Rwasa FNL activist, Elias Yamuremye, was assaulted by imbonerakure at Rugajo Hill in the District of Mugina, apparently for refusing to join the ruling CNDD-FDD party. On 16 September 2018, a dead body was recovered floating in a gutter located in the Ngagara 9 neighborhood in the District of Ntahangwa. On 16 September 2018, a grenade attack perpetrated by unknown people in Nyabigabiro in the District of Gisuru resulted in two people namely Daniel Mubaji and his wife being wounded. On 17 September 2018, a military man serving with the national Army General Staff, Jean Claude Habiyambere aka Kibaju, was abducted by unidentified people believed to be NIS agents in Bujumbura. On 18 September 2018, Daniel Ngendakumana aka Kayongwe and his wife were killed on Buyumpu Hill, in the District of Kabarore. On 18 September 2018, a policeman assigned to Ruhwa immigration post, Theophile Nibitanga was abducted by unidentified persons. On 19 September 2018, two motorcyclists Dieudonné Kigingi, Lambert and Samuel Ndayishimiye were arrested by the chief police in the center of Nyanza-Lac. On 19 September 2018, nine pro-Rwasa FNL activists, namely Chadrack Manirambona, Dieudonné Mvuyekure, Venuste Nduwayo, Claudine Vumiriya, Claudine Kwizerimana, Etienne Minani, Andieli Ndacayizigiye, Fabien Bigirimana and Evelyne Harerimana were arrested in Rubira Hill in the District of Mpanda. Eight of them were transferred to Bujumbura, whereas Chadrack remains detained in Bubanza. The nine activists were accused by local authorities of holding illegal meeting. On 20 September 2018, Jean Claude Nsabimana was abducted in Rohero in the District of Mukaza. Nsabimana was intercepted as he drove in downtown Bujumbura and abducted from his car. His whereabouts remain unknown. On 21 August 2018, a teacher at Sainte Dorothée High School in Rukago in the District of Gahombo, Marius Ndayikengurutse, was abducted by NIS agents in Ngozi and taken to an unknown location. On 21 September 2018, the dead body of Fabien Hakizimana was recovered under a bridge over the Kidahwe River at Giko Hill in the District of Bubanza. On 21 September 2018, military personnel Léonce Ndayikunda was abducted from his residence in Musaga, 2nd street, by unknown people and taken to an unknown location. 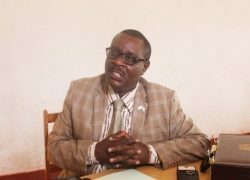 On 22 September 2018, Aloys Nzisabira and his wife Elysée, all working with Lycée Notre Dame de la Paix in Bubanza were gravelly assaulted by three imbonerakure identified as Niyonkuru aka Commissaire, Congera and Pontien all operating in the Ruvumvu neighborhood. The wife was beaten until she lost conscience. During the beating, Imbonerakure claimed “kubita cane izombwa z’abatutsi,” meaning “beat those Tutsi dogs.” The two teachers are accused of being too severe in their grading leading to the failure of several pupils including two imbonerakure, one of whom is the son of the police commissioner of Bubanza. 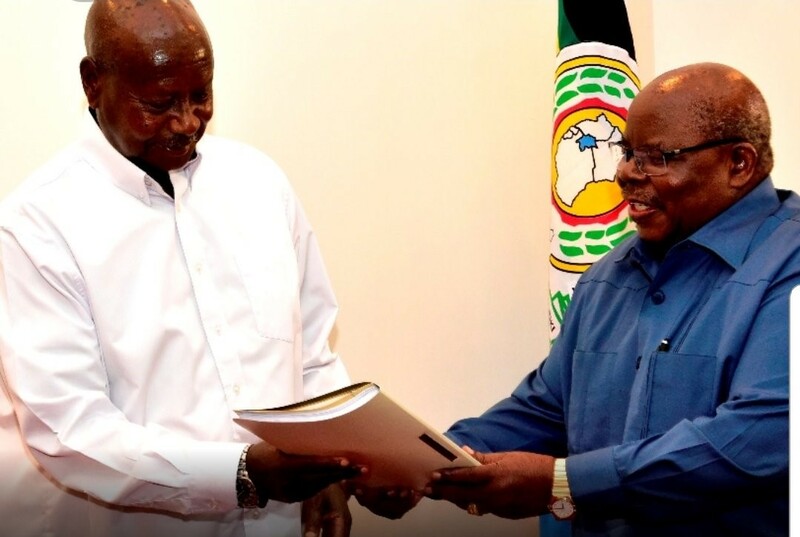 On 22 September 2018, Joseph Nzeyimana was arrested and tortured by the head of NIS in Buganda who accused him of not participating in demonstrations dedicated to rejecting the report of the commission of inquiry on Burundi. On 23 September 2018, four pro-Rwasa FNL activists were arrested and assaulted by imbonerakure in Buhoro Hill in the District of Gashikanwa. Victims include Juma Ndarusangiyabandi, Annani Nsabimbona, François Rufyikiri and Gérard Rwasa. The victims were assaulted for opposing the constitutional referendum. On 24 September 2018, a grenade attack at Rushimabarimyi Hill in the District of Mugina resulted in 18-month-old child being killed where as his father aged 60 years, Joseph Shongongo and his mother Hangurimana aged 45 years and his sister Véronique Nigarura aged 8 were wounded. On 24 September 2018, an imbonerakure called Ngendakumana Daniel and his wife were killed at their residence in Rugari in the District of Kirundo. On 26 September 2018, Vianney Sibomana was arrested at his residence in Gitaza in the District Muhuta by the head of the NIS in Rumonge. On 27 September 2018, two MSD activists, Alexis Hacimana working at Matongo Communal High School and Elie Nsabimana working at Ryakabamba Primary School, were arrested by police in the District of Matongo. On 29 August 2018, the dead body of a 6 month old baby was recovered in Nkayamba in the District of Rumonge. On 29 September 2018, a pro Rwasa FNL activist, Magorwa Sylvain was arrested by the police in collaboration with imbonerakure at Muzenze Hill in the District of Mishiha as he returned to Burundi. Magorwa had secured asylum in the United Republic of Tanzania and settled in Nduta refugee camp as he fled in 2015..
On 30 August 2018, the dead body of 48-year-old fisherman Ndaramvye Gustave was recovered in Karonda in the District of Rumonge. The body showed signs of throttling. On 30 August 2018, 15-year-old Bella was allegedly raped by a 50-year-old man, Daniel Harimenshi, in Gisovu in the District of Bubanza. See UN Human Rights Council Resolution on Burundi, 27 September 2018. See Décret portant nomination de l’assistant du Ministre, available at http://www.presidence.gov.bi/wp-content/uploads/2018/10/149.pdf.